Yesterday I experienced my first hot air balloon flight. 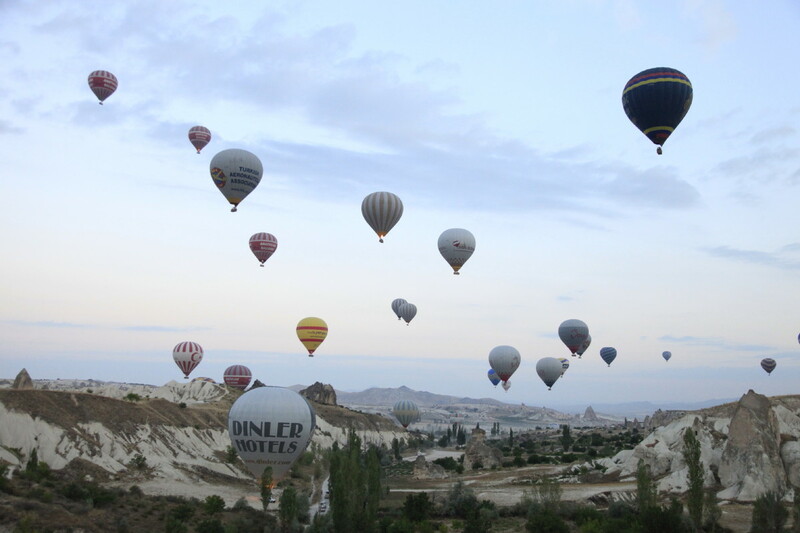 I awoke about 4am and our group were collected from our hotel at 5am by our balloon company Kapadokya Balloons. The whole experience was a wonderous one. 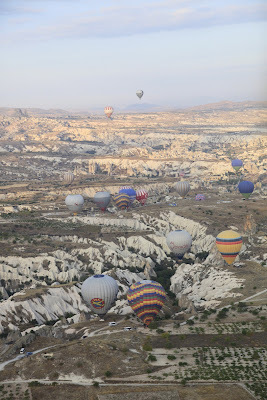 It had been a dream of mine to fly in a hot air balloon for many years and what a magical experience in a magical place. 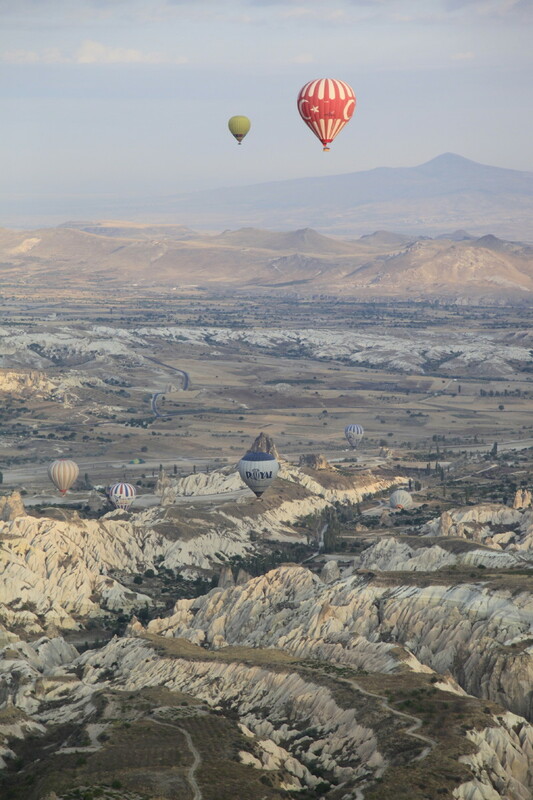 Our flight took about an hour over the Cappadocian landscape. We shared the airspace with 69 other colourful balloons, what a sight to behold. Balloons of all colours, some with signage, some without. This magical experience will remain as one of the highligts of this wonderful country. Turkey has provided more than I had hoped for.